MIT SMR and Boston Consulting Group are collaborating on a new research initiative, Artificial Intelligence & Business Strategy, to explore the most important business opportunities and challenges for managers posed by AI. The field of artificial intelligence (AI) is finally yielding valuable smart devices and applications that do more than win games against human champions. According to a report from the Frederick S. Pardee Center for International Futures at the University of Denver, the products of AI are changing the competitive landscape in several industry sectors and are poised to upend operations in many business functions. So, what do managers need to know about AI? MIT Sloan Management Review and the Boston Consulting Group have joined forces to find out. Our new research initiative, Artificial Intelligence & Business Strategy, explores the most important business opportunities and challenges from AI. From a managerial perspective, what is artificial intelligence? How will AI influence business strategy? What are the major management risks from AI? Artificial intelligence covers a diverse set of abilities, much like Howard Gardner’s breakdown of human intelligence into multiple intelligences. These abilities include deep learning, reinforcement learning, robotics, computer vision, and natural language processing. The first report from Stanford’s One Hundred Year Study on Artificial Intelligence — “Artificial Intelligence and Life in 2030” — lists 11 applications of AI altogether. Each of these represents narrow AI, which is defined as a machine-based system designed to address a specific problem (such as playing Go or chess) by refining its own solution using rules and approaches not specifically programmed by its maker. More general AI refers to a system that can solve many types of problems on its own and is self-aware. No such general AI system currently exists (at least none have made it into public view). Two reports – the White House Office of Science and Technology Policy’s 2016 report called “Preparing for the Future of Artificial Intelligence” and the Stanford paper mentioned earlier – offer more detail on the various types of narrow AI. In a forthcoming MIT Sloan Management Review article, slated to be published in February 2017, Ajay Agrawal, Joshua Gans, and Avi Goldfarb provide a managerial perspective of AI and argue that the business value of AI consists of its ability to lower the cost of prediction, just as computers lowered the cost of arithmetic. They note that when looking to assess the impact of radical technological change, one should determine which task’s cost it is reducing. For AI, they argue, that task is prediction, or the ability to take the information you have and generate information you don’t have. From this perspective, the current wave of AI technologies is enhancing managers’ ability to make predictions (such as identifying which job candidates will be most successful), and that the most valuable worker skills will continue to involve judgment (such as mentoring, providing emotional support, and taking ethical positions). Humans have more advanced judgment skills than computers, a state of affairs that will continue into the near future. One implication: Managerial skill sets will need to adjust as prediction tasks are given over to computers. More generally, the implications of this trend will have an impact far beyond individual skill sets. AI is already having an effect on the composition and deployment of workforces in a variety of industries. In their forthcoming article, Agrawal and colleagues point out that at the start of the 21st century, the set of recognized prediction problems were classic statistical questions, such as inventory management and demand forecasting, but over the last 10 years, researchers have learned that image recognition, driving, and translation may also be framed as prediction problems. As the range of tasks that are recast as prediction problems continues to evolve, the authors argue, the managerial challenges will shift from training workers in prediction-related to judgment-related skills, assessing the rate and direction of the adoption of AI technologies in order to properly time the shifting of workforce training, and developing management processes that build the most effective teams of judgment-focused humans and prediction-focused artificial intelligence agents. However, managing workforce change is just the beginning of AI-related strategic issues that leaders need to consider. In more data-rich business environments, for instance, the effectiveness of AI technologies will be only as good as the data they have access to, and the most valuable data may exist beyond the borders of one’s own organization. One implication for business strategists is to look for competitive advantage in strategic alliances that depend on data sharing. German automakers BMW, Daimler, and Volkswagen are a case in point. They formed an alliance to buy Berlin-based HERE, a digital mapping company, in order to create a real-time platform that shows a host of driving conditions – such as traffic congestion, estimated commute times, and weather – based on data collected from cars and trucks from each brand. None of the car brands in the alliance would have been able to create a sufficiently robust data platform without others’ participation. In addition to providing a customer service, the alliance’s data platform is expected to support business relationships with municipalities, drivers, insurance companies, and more. These effects on business are far from guaranteed and, importantly, will affect different organizations in different ways – and many of these are also under managerial control. Additionally, these changes bring considerable risk as well. Many of these, too, are under managerial influence. The short list below samples some of the looming threats to business from AI. Replacement Threat – AI promises to enhance human performance in a number of ways, but some jobs may no longer be necessary in an organization that relies on AI systems. Knowledge worker positions are not immune: Insurance companies, like Fukoku Mutual Life Insurance company in Japan, are already beginning to use AI (instead of human agents) to match customers with the right insurance plans. Another replacement threat is humans that are physically integrated with intelligent machine systems. As this labor group increases in size and acceptability, the line will blur between human intelligence and artificial intelligence; human resource departments may need a name change. 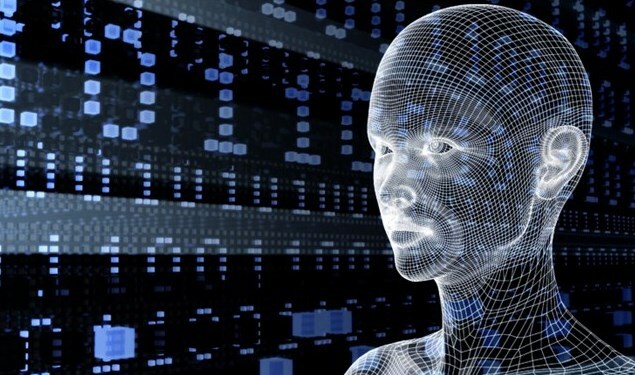 Dependence Threat – As AI enhances human performance on making predictions and decisions, human dependence on smart machines and algorithms to do critical business tasks creates new vulnerabilities, inefficiencies and, potentially, ineffective operations. Errors and biases may creep into algorithms over time undetected, multiplying cancer-like, until some business operation goes awry. Security Threat – Sophisticated algorithms that steal information are a reality, and a major reason cybersecurity has become a $75-billion-per-year industry. Algorithmic thievery is creating a cybersecurity arms race. “The thing people don’t get is that cybercrime is becoming automated and it is scaling exponentially,” said Marc Goodman, a law enforcement agency adviser and the author of Future Crimes. Protecting sensitive corporate information with AI from AI is not just a problem for IT, but an important issue for a company’s senior leadership, including its board of directors. Privacy Threat – As more of the labor force becomes information workers, they themselves become sources of information for corporate algorithms to collect and analyze. Widespread use of these algorithms undermines even the illusion of privacy for employees, and raises many ethical issues about where to draw the line between supporting workers’ autonomy and freedom – important sources of creativity – and monitoring their activity. The net effects of the strategic implications of AI, along with related risks, are uncertain – but what is certain is that AI will change business. What counts as AI is sure to evolve. It has already. Years ago, pundits and theorists alike believed that any computer smart enough to beat a chess champion would constitute a form of AI, but when Deep Blue defeated then-champion Garry Kasparov at chess in 1997, not even IBM characterized the win as a triumph of AI. The bar for AI moved, as it will inevitably move again. Management threats from AI will also surely change, as will AI’s implications for business strategy. Understanding these changes and their implications for management is the driving force behind MIT SMR’s new research initiative about AI and strategy. On behalf of our research team, we look forward to sharing the results of that research with you over the course of this year. David Kiron is executive editor of MIT Sloan Management Review‘s Big Ideas initiative.